Up until this week, if you wanted to buy American-made sunglasses you didn't have a lot of options (especially when it came to acetate frames), but a new company is out to change that. Lowercase officially launched this week bringing clean minimal eyewear—that’s made in New York— to market. Recently, I toured the company's factory in the Brooklyn Army Terminal to meet the team, see some of their new frames and also check out the manufacturing process, which includes some of the coolest looking machines I've ever seen. Gerard Masci and Brian Vallario founded Lowercase almost two years ago. 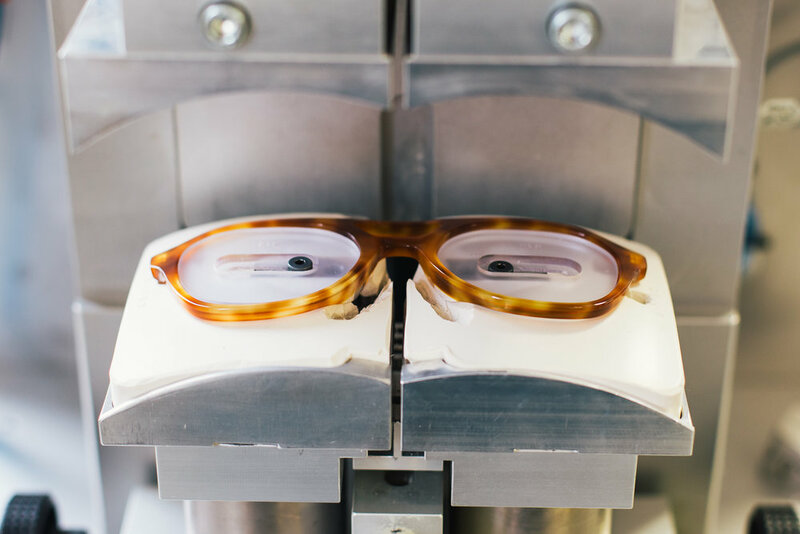 Because the knowledge and equipment needed to make sunglasses here domestically is pretty much long gone, the two traveled to Italy to acquire the specialized machinery necessary to make acetate sunglasses. After jumping that hurdle, they set out creating designs, mastering the manufacturing process and working out supply chains. All the acetate comes from Japan and Italy. The hinges come from Germany and the sun lenses are Carl Zeiss glass. 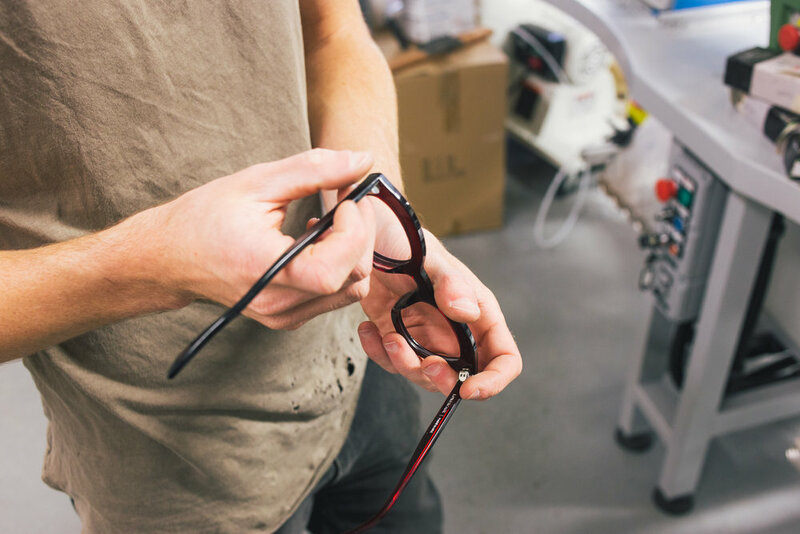 Overall, there are some 30 steps involved in making each pair of sunglasses. 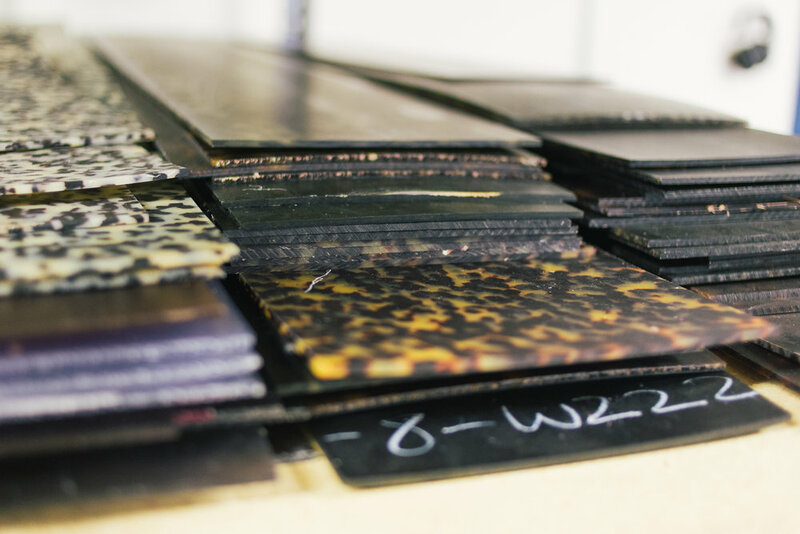 The sheets of acetate are stored in an oven to completely dry out the material. The acetate planks are then ripped and planed into small blocks. Extra material is laminated where the nosepads go and the frames begin to take shape when they are cut out from a CNC machine, blasting tiny flakes of acetate around. The frames then go into barrel tumblers filled with wood chips and paste for up to four days through a series of tumbles to smooth them out. This removes toolmarks, softens the edges and also gives the frames a really nice feel in the hand (and on the head). After that, the hinges and temple rods are installed, the frames are bent into shape, polished and the lenses are installed. 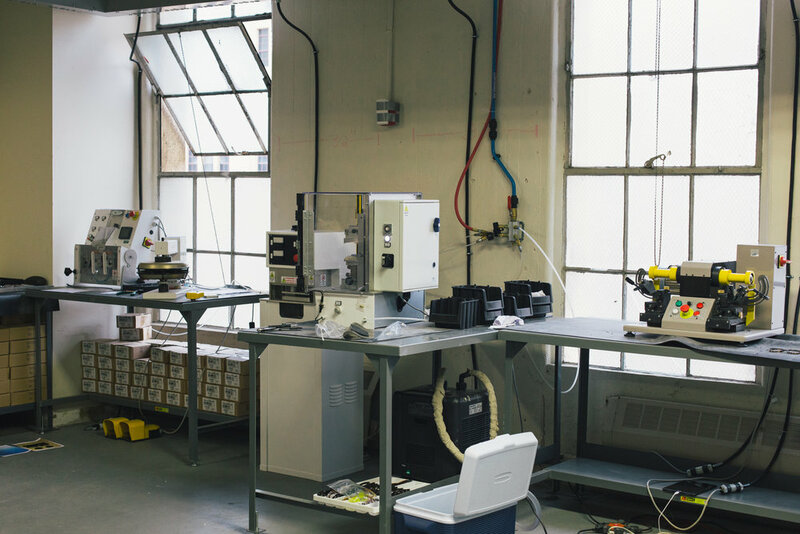 By vertically integrating this manufacturing process, Lowercase is betting they can cut costs dramatically. Sunglasses are usually marked up quite heavily - as in ridiculously heavily. The industry is also dominated by one giant monopoly—Italy’s Luxottica—which not only owns many brands you're familiar with, but also the means of production and the shops to sell them in. (For more about that story, check this 60 Minutes investigation). For a big company like Luxottica, vertical integration means being able to control costs and make large margins and big profits. For a small startup like Lowercase, this vertical integration means being to operate with more modest, yet healthy, margins and to offer well-crafted sunglasses at very competitive prices. By making products domestically, the nimble Lowercase will also be able to quickly do test runs, limited runs and collaborations with other brands as well. To me that's the most exciting part. I look forward to seeing the various designs that Lowercase is able to play with in the next few years, and also sporting some New York made glasses too.